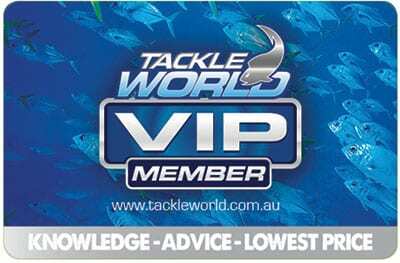 Become a Tackle World VIP Member and enjoy benefits of each store’s individual VIP program Australia wide. Simply fill in the form below and your VIP card will be posted out to you. Thank you for your loyalty and support to Tackle World. Date of Birth: I am over the age of consent (15 years) or I have the consent of my parent/guardian to apply to join the Tackle World VIP program. By checking this box you acknowledge and agree to the Terms and Conditions.